A revised version is long overdue. This was published in 2011 and is still the most recent version. Tassie is at a real point of change, old businesses are closing and new ones are opening up. Many recommended hotels and restaurants are no longer open, and the whole section about Gunns wood pulp destroying the forests is no longer relevant as Gunns have pretty much gone under. You rarely see a truck full of timber any more. The book was still a great insight into the rugged beauty of the island but please please please bring out an updated version. This is nearly 4 years out of date and still cost $37AU new in a bookshop. 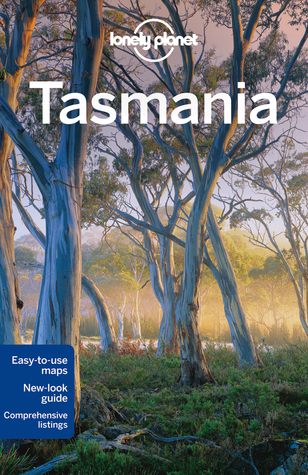 Am going to Tasmania next weekkkkk... wooooA great extensive resource for all travellers. Even though I'm a DK Eyewitness Guides addict because of all the pictures and illustrations, I found this guide to be really helpful. It's updated and the writing is funny, hip and not boring. They have helpful maps (I'll be clutching this book while I'm walking along Hobart), a feature on every interesting place with admission times, prices, etc so it's a great way to plan your holidays day by day. I'll definitely buy a Lonely Planet guide again! The 2011 Tassie Lonely Planet guide was well overdue a rewrite and this one is everything it needs to be. Personally, I'm not convinced about the awesomeness of Tasmanian food - they have great natural produce but people who can work their magic on it seem few and far between. As for everything else, I now have a hit list of places I want to see when I'm over next month - I'm sure this guide will prove invaluable. I so want to go to Tasmania now. There is so much interesting and useful information! Love it! The book helped emmensley in preparation for my backpacking trip! Lots of clear concise information provided about each city and town. however, Not enough backpacker accommodation listed.